You know, if you're developing a Vaadin application, it is not necessary to understand how to code client side using GWT, unless you're building your own custom component, and you need to add some special client-side code. In that case, you are going to realize that whenever you want to test your component, debugging it can be tricky. The problem is that client side code is not executed by the JVM, instead that code is going to be executed by the browser, and because of this all of the debugging facilities provided by the Java platform are useless. Let me tell you what you need to take into account for being able to successfully debug your code. This is a special process that will provide the browser with the source code of your client side code. There are a lot of ways of running this process, one way is to setup a new Eclipse Run Configuration (Run → Run configurations... → Java Application → New). 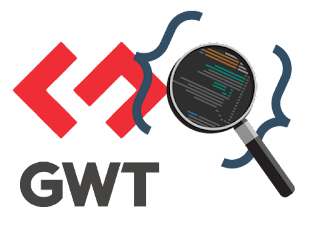 There you'll have to provide your project's name and use com.google.gwt.dev.codeserver.CodeServer as the main class. As an argument you need to enter the fully qualified name of your widgetset. If your widgetset descriptor has a name "MyWidgetset.gwt.xml" and it's located in the java package: "com.myapplication", then the FQN will be: com.myapplication.MyWidgetset. Another option would be to use Maven, as explained in the gwt-maven-plugin documentation site. This process has to be up whenever you want to debug your code, so leave it running in the background. To be completely sure that this step was performed correctly, just go to Run → Run Configurations ... and see if there is a Launch Chrome configuration. Just run it normally, as you would do to debug server-side code. Just one important thing to take into account: Production Mode has to be disabled to be able to debug client side code. If you want to know a little bit more about this, you can check out the official documentation. Use Eclipse for debugging: Go to Run → Debug Configurations ... → Launch Chrome (provided by the Eclipse debugger for GWT SuperDevMode plugin we installed in the previous point), and create a new configuration, specifying the url and the associated project. In either way, after the browser is showing the screen of your application you'll need to open Vaadin's Debug Window by adding ?debug at the end of your URL (if you're using Navigator, remember that the ?debug goes before the #view). Then in the Debug Window select the little gear icon on the upper right section and then press on the black dot (enable SuperDevMode). That will launch the widgetset compilation process once again (be patient). One quick way of doing this, is to append ?debug=&superdevmode= instead of just ?debug at the end of your URL. And that's it! Whichever you're using Eclipse or Chrome, you are going to be able to put a breakpoint on your client-side code, and inspect the variables in there. If you're using Eclipse, just do it in the same way as if you were debugging server-side code; if you're using just Chrome, you'll need to open the Developer tools, and find the sources of your application in the Sources tab. You will find those under a folder with the FQN of your widgetset. Please leave a comment if you have any trouble with this.